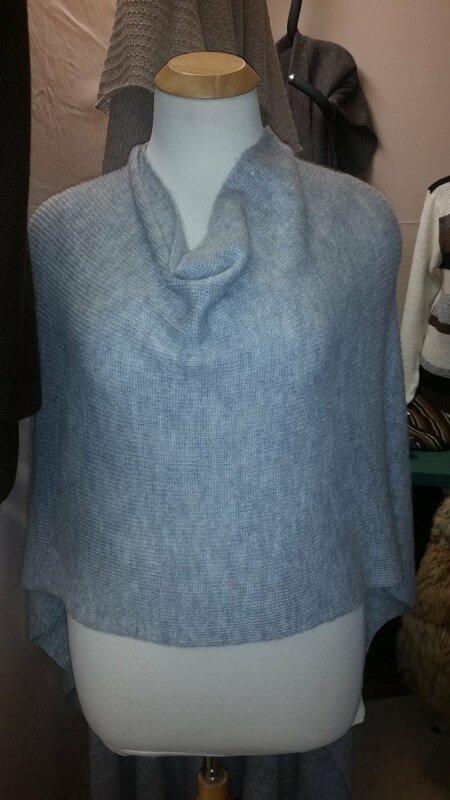 This scooped neck wrap, is long flowing in the back, and so very soft. Feels like you are getting a personal hug from the alpacas them self,and very comfy to wear, will keep you warm and cozy. 100% Alpaca from our herd of alpacas. If not in stock, allow 2 weeks for production and 3 days shipping.